There’s more to making money on renovating a property than you might think. In a recent Real Estate Talk show we catch up with renovation queen Cherie Barber, who tells us that her plans to make money on a renovation begin long before she buys a property. Kevin: In the show, we quite often talk about improving our investment properties. That nearly always comes down to renovation. Who better can we talk to about that than Cherie Barber from Renovating For Profit? Good day, Cherie. How are you? Cherie: Fantastic, thank you Kevin. And you? Kevin: I’m very well indeed, thank you. I’m hoping you can share with us your five most important reno tips for investment properties? Cherie: Okay, that’s a pretty easy one. The first thing is the old saying in real estate: “Location, location, location.” That’s true, but I don’t think it’s the absolute be all and end all. To me, I say, “Research, research, research.” It’s about doing the right amount of research on your suburbs, but also the property itself, and the property prices. Kevin: How much time should you spend researching, Cherie? You can go into overload with this, can’t you? Cherie: You can. We can actually get “analysis paralysis,” so you don’t want to do too much. I typically say to my students anywhere between six to twelve weeks is a good time to do research. That’s predominantly going to the open for inspections, getting very familiar with unrenovated or renovated properties – either/or – and the prices that those properties are pulling, the style of houses in the area, and which properties have bigger demand than others. It all just boils down to research. Kevin: Research also helps you determine what price you’re going to pay, because we quite often hear of people making silly offers. A silly offer is okay provided it’s within a market range, Cherie? Cherie: It is, and that leads me to the second thing you want to do: pay the right price for the property when you buy it. What I do know is that it doesn’t matter what award-winning renovation you do, if you pay too much for a property to begin with, you’re going to be in a lot of trouble. It’s about paying the right, fair market price. 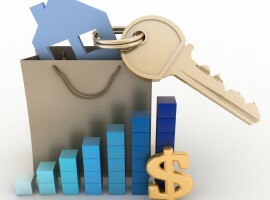 In my experience it’s very hard to actually get a property for below cost or for wholesale cost. Quite a few people talk about that, but it’s very rarely done. It’s about paying the right price for the property when you buy. Kevin: The right price that’s going to allow you to make some profit out of it, Cherie. That’s what it comes down to? Cherie: Yes, and it’s very easy to pay the right price. Once you go to those open for inspections for anywhere between six to twelve weeks consistently, you will be amazed how much property knowledge or pricing knowledge you have on the properties in your local area. I remember when I started renovating – many moons ago – I started doing that process myself. It was after about six weeks of going through every single open for inspection that I could start to take a wild guess at what properties were worth. At the end of the twelve weeks, I was actually predicting what properties would sell for within a $20,000 radius. It’s actually not very hard to do this is if you’re just consistent with your research. Kevin: You’ve highlighted a great point there about price and doing research. It’s so much easier to get a handle on price if you’re looking in one geographic area, but if you’re looking for a type of property across a number of different areas, prices vary and it becomes very difficult for you to get the price right. Cherie: It does. With my students, I say be a master of one, not a jack of all trades. I think it’s worked particularly well for me. I focus on just three to five target suburbs in my area. If you ask me about the property prices in the next suburb over, I’m completely clueless. I became an absolute expert at everything about my suburb: the demographics, the housing types, which properties were in surplus supply, which were in demand, and the property prices. By having a very small focus and not spreading your wings too far, you do get that more intimate knowledge. At the end of the day, that’s actually what can mean the difference between making a profit on not just a renovation deal, but a property development deal or a passive investment. It just comes back to doing one thing and doing one thing well. Kevin: When you’re talking about price, have you got a fixed price in your mind, or a fixed price range, that you’re prepared to buy in? Cherie: I am. 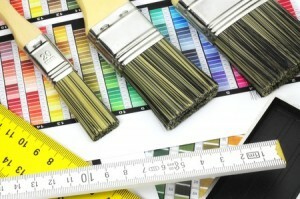 Quick cosmetic renovations work particularly well for a lot of properties that are under the $600,000 price range. Structural renovations are more suited to property prices $750,000 and above. The reason why I say that is structural renovations only work in certain areas. In fact, structural renovations tend to work particularly well in the inner-city locations and the metropolitan ring, which is that three to twenty kilometer radius out from the CBD. By its very nature, property prices are higher in those areas. What you can’t do is go and do a quick cosmetic renovation into a suburb that is clearly structural renovation territory, because with cosmetic renovations – painting, ripping up the carpet, polishing the floorboards, or installing new blinds – because you’re buying at a much higher property value for structural renovations, doing those simple cosmetic changes is not going to give you enough uplifting value to cover all your costs associated with the structural renovation. Definitely structural in that $750,000 and above, in the inner-city and metro markets, and then cosmetic renovations work particularly well in the metro or the outer-metro ring, and even the regional ring at the lower price. Kevin: Cherie Barber from Renovating for Profit. Thank you so much for your great insight there, and we look forward to talking to you during 2015. Cherie: Thanks for having me, Kevin.